Welcome to The Gadget Professor Show #399 hosted by Don Baine. 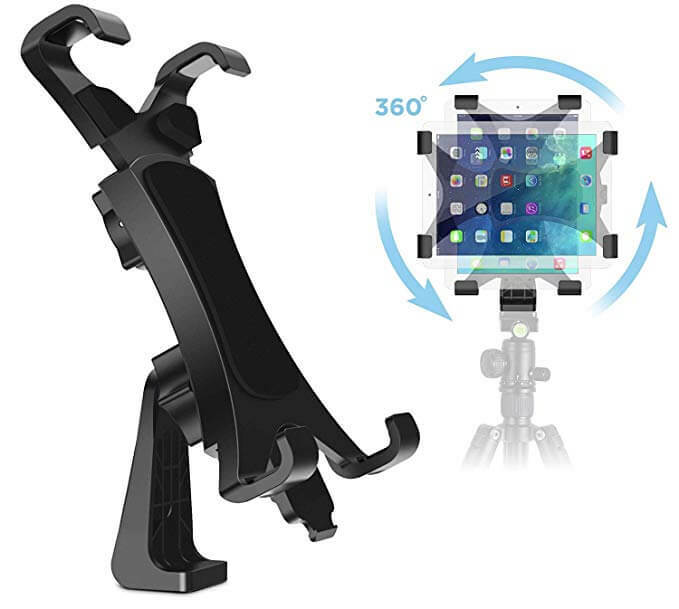 IPOW iPad Tripod Mount Adapter Universal Tablet Clamp Holder Fits Ipad, Ipad Air, Ipad Mini, Microsoft Surface, Nexus and Most Tablets, Use on Tripod, Monopod, Selfie Stick, Tabletop Tripod Stand Etc. Adjustable tablet tripod mount adapter fits any 7 to 9-Inch (measured diagonally) devices. Mount your tablet to a Tripod, Monopod, Selfie Stick, or any tripod with standard standard 1/4″-20 thread. Supports iPad mini in both portrait & landscape orientation. Supports phablets and Samsung Tab 7.0 series in portrait orientation. Supports iPad 2/3/4/Air/Air2 only in lanscape orientation. Additional Friction Pad for your use when tablet is thin or ultra thin,increaing the friction between holder and tablet to prevent your tablet from slipping out or falling down. Easy adjustable width, with easy and secure lock. Fits most best-selling tablets – including Apple iPad, Samsung Galaxy Tab all models, etc. We created IPOW with a single goal:Make the smart life easier. That means starting with affordable, high-quality gear and ending with a commitment to 100% user satisfaction. After all, we’re customers too.